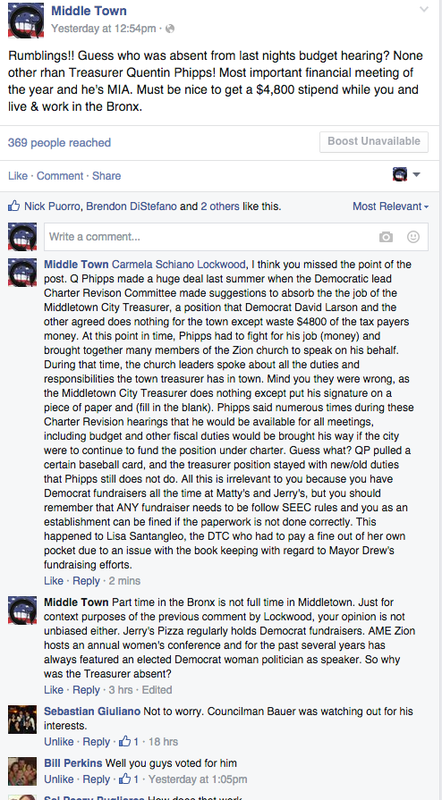 The Middletown Insider: Schiano Lockwood Mad at INSIDER!!! Schiano Lockwood Mad at INSIDER!!! All it boils down to is how much money the business can put in her pocket. Democrats are good business for them. 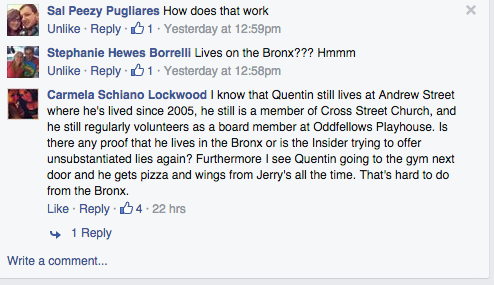 She should make a business in Middletown, it's great for the economy, but she should be very careful at defending QP. What you say is 99% about Mr. Phipps, but I am surprised at the fact that you failed to mention how and why he lost his Downtown Director job.. Interestingly enough, he didn't use the "CARD" to preserve that position for himself. He knew that DAN, the MAN and the rest told him that the business owner couldn't stand him and he had get or his future as Treasurer or anything else on the DEM side would be over. Notice that the Middletown Business District letting go of QP didn't become a big issue... QP knew to step in line and listen to the DEMS or else.. Good job INSIDER!! Why was he fired from DBD?